HSV / HSV and Puma launch new shoe in time for Bathurst. 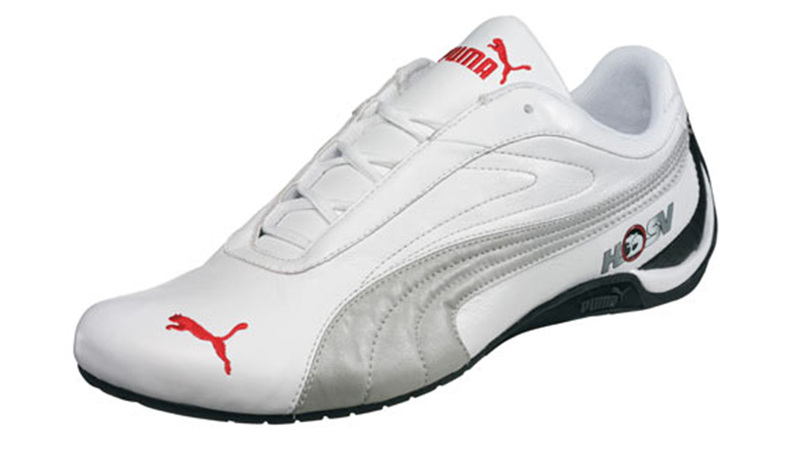 HSV and Puma launch new shoe in time for Bathurst. Puma has announced the launch of a long term arrangement with Holden Special Vehicles (HSV) to produce HSV branded footwear. The arrangement will see the first shoes, HSV edition ‘Drift Cat’, available exclusively at Foot Locker stores across Australia and New Zealand, from next Thursday September 20. Last night, the Holden Racing Team’s Todd Kelly officially launched the shoe at the Albert Park’s Gunn Island Hotel at a special event for Footlocker staff. Joining him was Puma Ambassador and Essendon champion Matthew Lloyd. Three colours are available in the new range of shoes from the world’s leading sports lifestyle company - white, black and red - and purchasers of Puma products at Foot Locker between September 19 and October 31 have the chance to go in the draw to win a brand new HSV VXR, simply by stating in 25 words or less why they would you like to win one of HSV’s hottest new arrivals. Holden Special Vehicles Group Marketing Manager Andrew McKenzie said the company was delighted to be involved with the world’s leading lifestyle brand. “Holden Special Vehicles is all about power and performance and in our 20th anniversary year our association with Puma, takes HSV to the next level,” Andrew McKenzie said.